Freestyle Karate is a dynamic system of martial arts, incorporating aspects of traditional Japanese Karate, Brazilian Wrestling, Muay Thai and a number of other martial arts, whilst constantly searching for improvement.Students of Freestyle Karate learn punching, kicking, grappling, throwing, pressure point and wrestling techniques. These techniques compliment each other perfectly and combine to provide a holistic and comprehensive self-defence system. 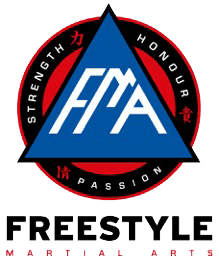 Freestyle also teachers values of honour, loyalty, justice, courage, truth, benevolence, etiquette and self control). Freestyle Karate incorporates a coloured belt grading system, much the same as is used in many other martial arts, this allows students to gauge their progress and set themselves achievable goals, whilst also differentiating between the different ranks at a class level – assisting instructors in ensuring that your training is best suited to your skills and abilities. Learning Freestyle Karate encourages physical fitness, mental focus, discipline, respect and honour. As you progress through your training you will notice yourself becoming more relaxed and mentally focused at home, work or school. Many students also find themselves pleasantly surprised by how quickly and markedly their level of physical fitness will increase, and continue to do so, throughout their training. 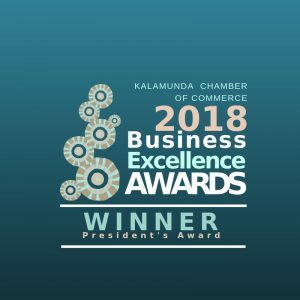 So if learning Freestyle Karate at Kalamunda Kickboxing and Martial Arts sounds like your kind of thing, then please don’t hesitate to contact us and get into training!